Imagine the situation that you have an international pal, whom you would like to send a letter via post. Writing an actual letter is definitely not a big deal, but you suddenly get stuck when you have to sign an envelope. An unexpected thought crosses your mind, as what if the ways to write an address are different depending on the country? And you will be absolutely right, as you do not want the postman to confuse the house number with the apartment one and deliver your letter to someone who is not waiting for it. To avoid such a misunderstanding, it is important to know the rules for writing addresses in different parts of the world. The website Writercheap.com serves a great example of address writing style in the USA. You may check this handful sample on how to format the address according to the US rules. Despite the fact that different variants of writing an address exist across the countries, there are still some general rules on how to format the address line correctly. When writing a letter, you have to indicate both the destination and return address. How to Write an Address in the USA? According to the USA formatting rules, the first line of the address written on the envelope has to start with the recipient`s name. Here it is important to note that in case if the letter is not personal, the necessary titles have to be included. The second line should contain the street address, post office box, and the apartment number. Do not forget about the directional notation here (East, West, etc.). It is possible to use abbreviations for the type of street if the address is too long (e.g. ctr for the center, dr for the drive, ln for the lane, blvd for the boulevard and so on). The third line must include the city or town, state, and zip code. It will be enough just to use a two-letter abbreviation of the state. The last line stands for the country name. How to Write an Address in the UK? The main thing you should pay attention to is positioning the address correctly. In the UK, the address is indicated in the bottom left corner of the envelope. The address lines have to be left-centered. Specify the name and surname of the recipient, with the title included on the first line. Indicate the street name and house number on the second line. If the place where the envelope will go has an official building number or property name, state it under the recipient`s name. The next line shall be used for the street name and house number. Save the final line for the postcode (zip code). Write it in capital letters and put two spaces between the two parts of the postcode. How to Write an Address in Australia? Write a full name of the recipient on the first line. Indicate the street address on the new line. It has to start with the house number followed by the street name. If there is an apartment, specify the apartment number with the slash before the building number. Write a suburb, state, and national postcode on the next line. The suburb name has to be followed by the national state abbreviation and postal code in full capital letters. Postal code boxes can be used here if available. Writing an address correctly is essential for the envelope to be delivered to the correct place and right in time. However, not knowing the basic rules on how to write it in different countries may lead to the envelope being lost. Even after getting familiar with the particularities in a certain country, it is important to proofread it once again to be sure nothing was missed and edit it before delivery. 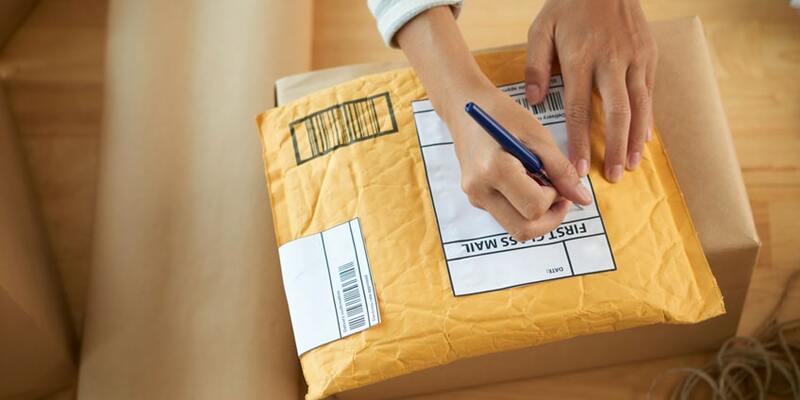 Once everything is settled correctly, you may be sure that your envelope gets to its destination properly.